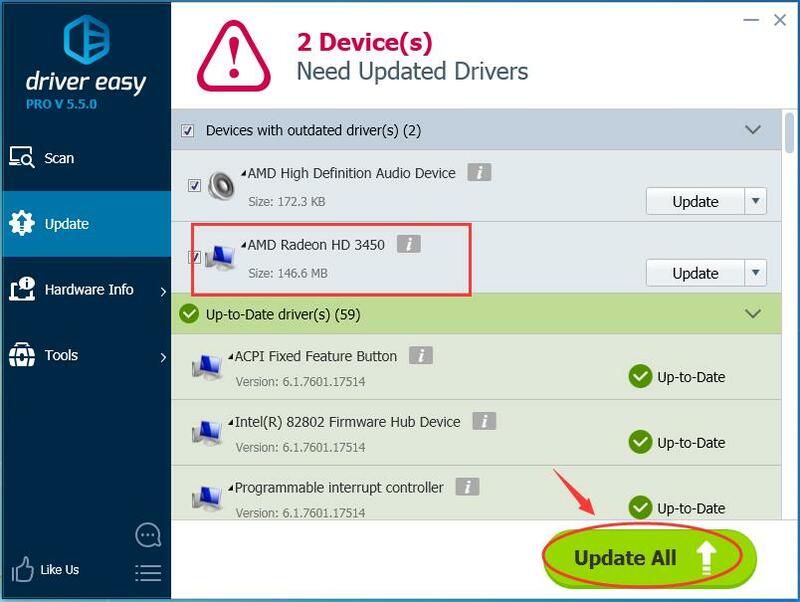 To download & update AMD ATI Radeon HD 3450 Driver, here are three trustworthy ways. Read on to choose an easy one for yourself. 1）Go to AMD Official Website. Then type ATI Radeon 3450 into SEARCH AMD box and hit Enter. 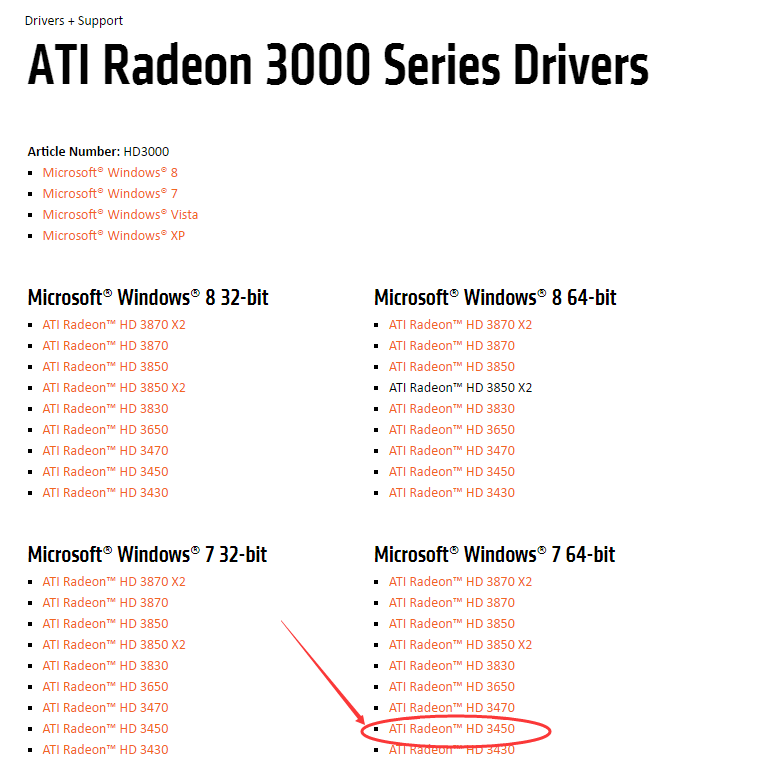 2) Click ATI Radeon 3000 Series Drivers in result page. 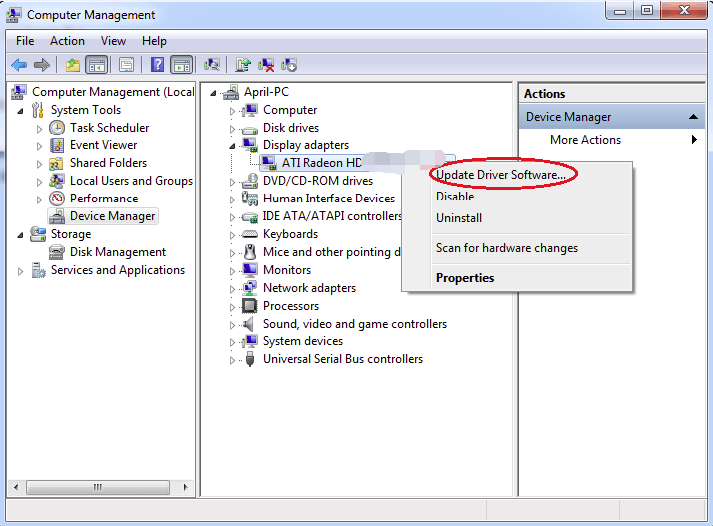 3) Locate your Windows operating system, then choose ATI Radeon HD 3450 Driver. 4) Scroll down, then choose to download Catalyst Software Suite by clicking DOWNLOAD. 5)Double click the downloaded ATI Radeon HD 3450 Driver, then run the installation manually. 6) Restart your computer for the changes after the installation to take effect. 1)Go to Device Manager to find and expand the category Display adapters. 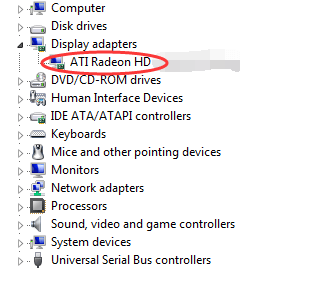 Then right-click on ATI Radeon HD 3450 Driver. 3)Choose Search automatically for updated driver software. 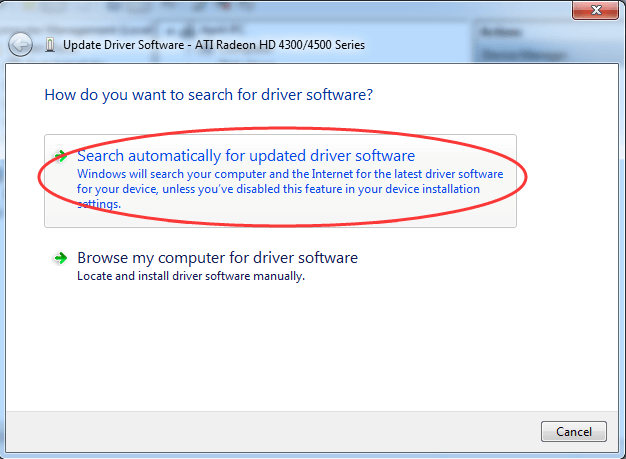 4)Now Microsoft will search the latest ATI Radeon HD 3450 Driver automatically. You can try another way to make sure your driver latest ones since Microsoft does not always offer all the drivers up to date. If you find the two ways above not enough quick and convenient, here is a nice tool to help you solve drivers problems: Driver Easy. Moreover, all the drivers offered by Driver Easy is trustworthy. There are two versions of Driver Easy. 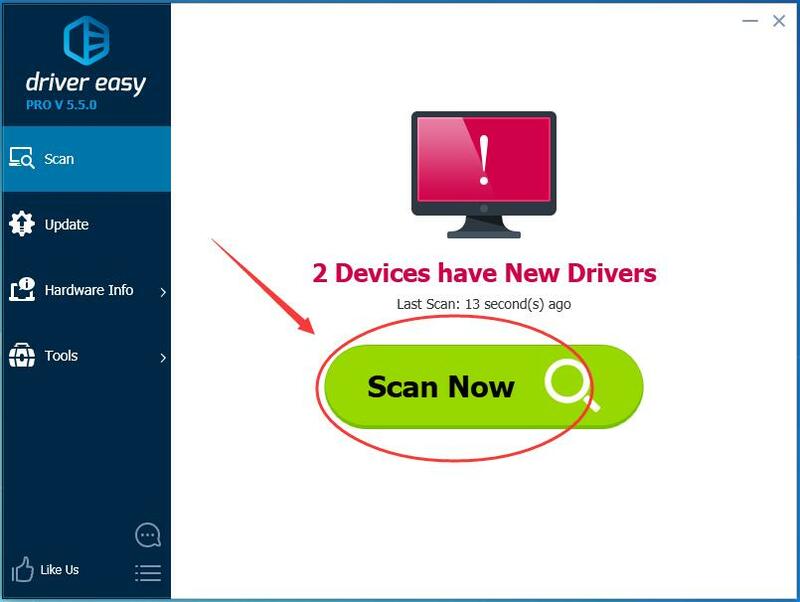 Free version can detect drivers problems and download latest ones, what you need to do is install the driver by yourself. With professional version, it just needs mouse-clicking 2 times, which can save much more time. Second click: click Update All. 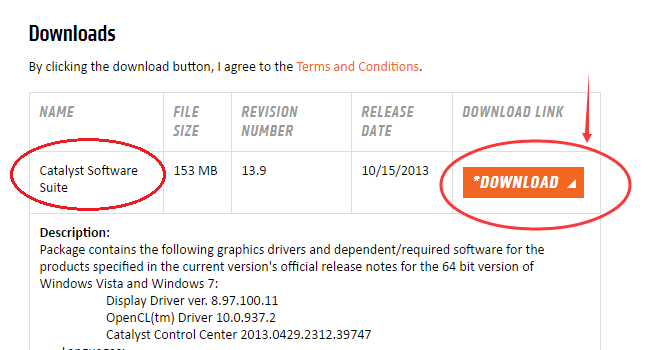 It will download and install ALL new drivers automatically including AMD ATI Radeon HD 3450 Driver. Such a charming tool it is! Moreover, it offers 30-day money back & free expert tech support guarantee.